The FCFSC Junior Board of Directors serve the club by providing an advisory voice on behalf of the junior membership. 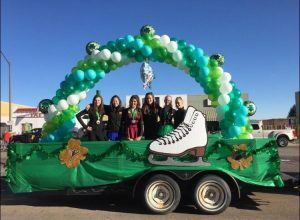 These volunteers participate under the supervision of the Board of Directors. 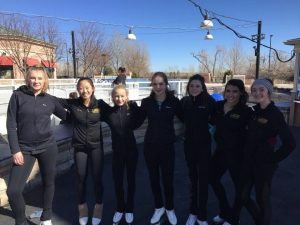 In addition to providing their perspective, the Junior Board members coordinate events throughout the year to engage members in social events, fundraise for the club, and increase awareness about figure skating in the local community. The Junior Board of Directors consists of elected members serving 1-year terms. Elections for positions occur in May of each year. Applicant qualifications: 1) FCFSC Junior Home Club Member in good standing, 2) 12-18 years old, and 3) FCFSC member for a minimum of six (6) months prior to submitting an application. For questions please contact the Jr Board Liasion, Katie Holmes.